When Mike Morris was just a boy his dad instilled in him a curiosity of the world around him. His dad not only taught him about the natural world, its creatures & its cycles, but also the aspects of things mechanical. This curiosity grew into a diversity of interests and a career that has touched the fields of Biomedical Science, Marine Biology, Healthcare Management, BMW race cars, Alternative Automotive Energy Technologies and more relative to Plum Island, Oceanography, Climate Change & Sea Level Rise. Mike's interest in Oceanography is rooted in the sport of surfing, a lifelong passion since the age of 11. He was described by author Andrea Fox in a North Shore Magazine feature article on Plum Island Erosion, as a "Wave Enthusiast". 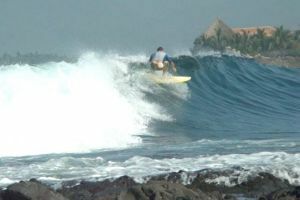 The sport has lured Mike to surf spots around the globe. He's surfed breaks not only here in New England, but also on the Outer Banks of North Carolina, Puerto Rico, the British Virgin Islands, Hawaii and also the Pacific coasts of Mexico & Costa Rica. 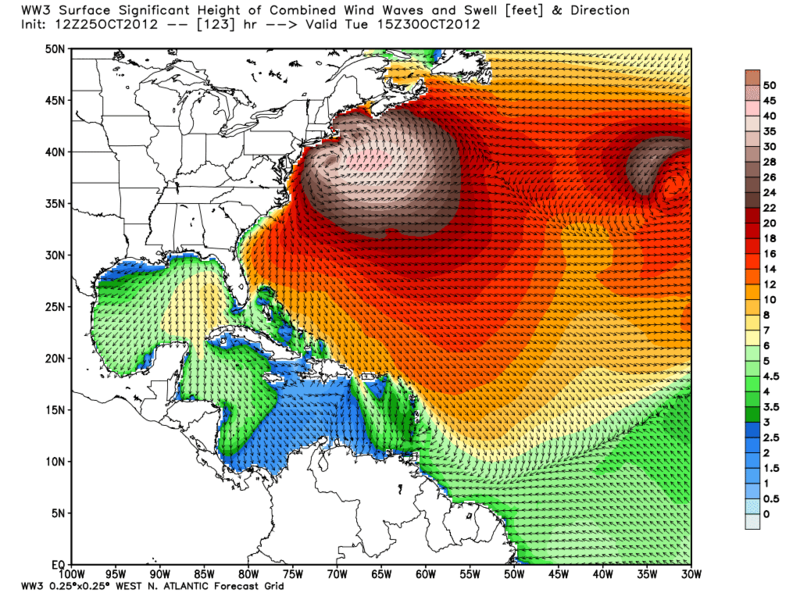 Planning a successful surf vacation, whether it is a few days in New England or a week somewhere more exotic, requires successful surf forecasting. To this end Mike studied Physics, Meteorology and Oceanography while pursuing a degree in Biology and a MS in Public Health & Business from the University of Massachusetts, Amherst. 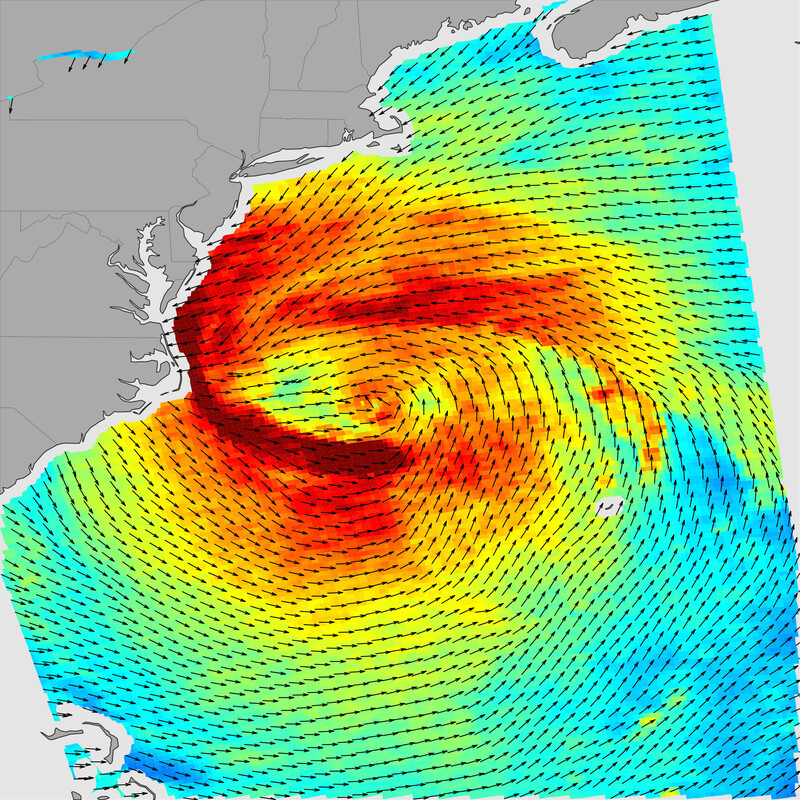 With the advent of the internet & the declassification of Military wave forecasting models in 1996, the task of accurately forecasting surf became much easier and more accurate. 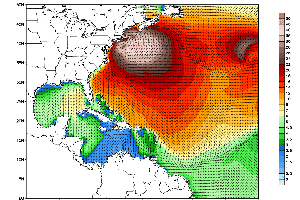 Today, wave propagation models can predict the arrival of a distant swell within a 6 hour window of time. Mike has studied these models daily since1996 over the last 17 years relating meteorology to surface winds & then wave generation and propagation. 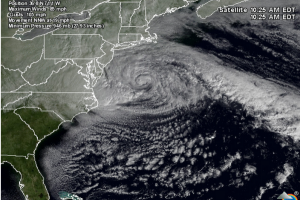 The ultimate verification of a model's forecasting ability was to see the swell "light up" offshore weather buoys, and ultimately arrive at the beach with the size & period forecasted. Mike Currently provides Surf Forecasting services through his company Northeast WaveWatch.com for northernsurfer.com & PlumIslandSurfco.com. Mike is also actively involved in sea-level rise planning & adaptation for local communities. So why did Mike complete a study on Plum Island Beach erosion? 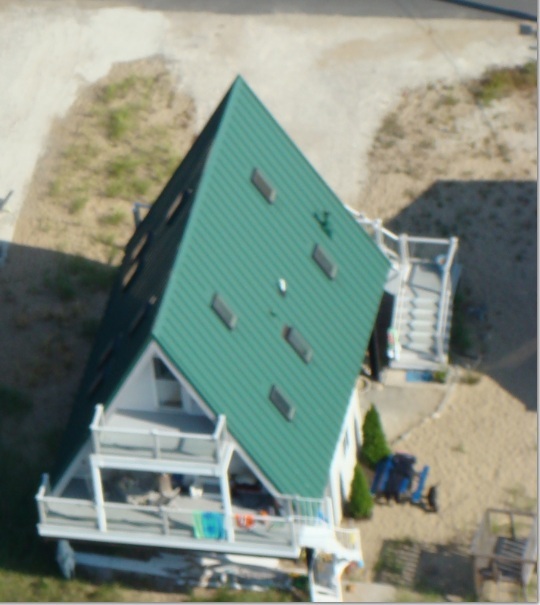 Mike and his wife Jen Wright own a home on Plum Island. In 2006, Jen was elected to the position of selectman for the town of Newbury. During her term, beach erosion at Plum Island had accelerated and became a great concern. Understanding Mike's knowledge of oceanography, she asked him to attend some of the early meetings about the problem and make sense of the science. What became apparent was that there were many theories, very little science, and a plan in the works to solve a problem that no one had taken the time to unravel & understand. Realizing that it's impossible to solve an ill defined problem, Mike set off with camera in hand, photographing the beach, its dunes, the rock groin structures and the Merrimack River mouth. His curiosity motivated him to understand what was happening along the shore. 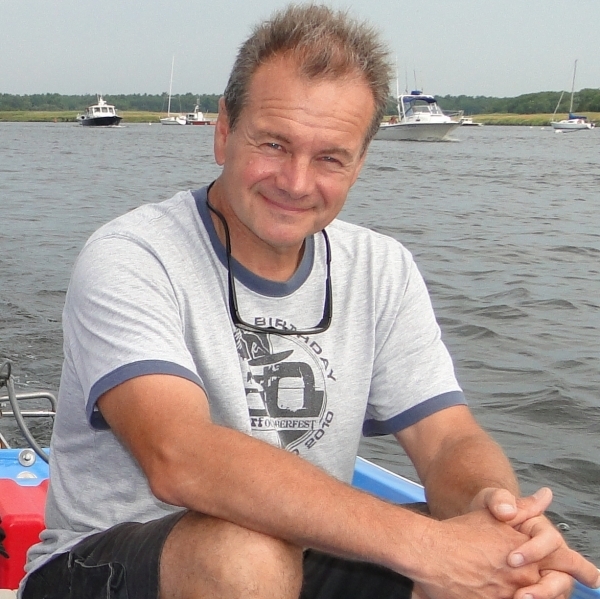 To observe and quantify changes along the Plum Island shore, he also researched historical nautical charts dating from present day back to the pre-revolutionary war era. 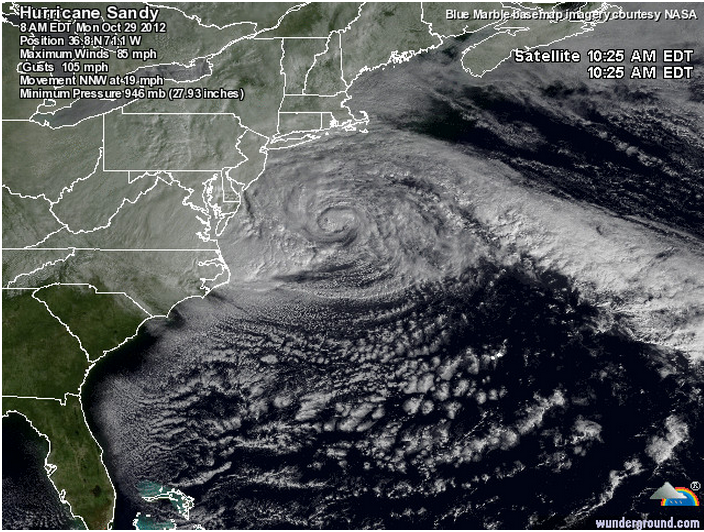 He analyzed some 90 years of Massachusetts CZM shoreline change data as well as 15 years of satellite imagery. He charted the changes Plum Island had undergone and related these changes to events in Plum Island history. 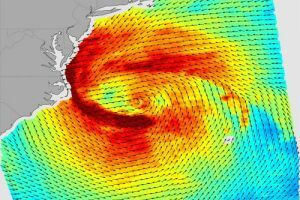 To better understand the forces (wave energy) driving Plum Island's sand migration, Mike sifted through some 7000 hours of actual wave buoy data where he discovered that wave direction during Northeast storms changes as the storm evolves, and so isn't always only from the Northeast. In fact, the most powerful waves impacting Plum Island's shore almost always originate from far offshore, to the east and southeast - it was a fact that Mike a (scientific) surfer already knew. The study became rather involved and rather large very quickly. In total Mike devoted some 300 hours to this work and some one hundred visits to the Plum Island shore during 2008. To this day, Mike can't help but observe which way the sand is moving along the beach on any given day. Mike presented the results of his work in a Power Point presentation to members of the Army Corp of Engineers at Congressman John Tierney’s Office in June of 2008 where it was well received. 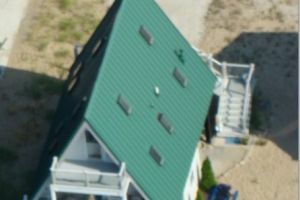 In the same month he also made a presentation to the Newbury Beach Committee who felt that every resident of Plum Island should view this information. Through the summer of 2008 Mike refined his presentation & gathered more photographic data. In September he presented his study to the Town of Newbury where after he received a standing ovation. Impressed with his work & message, The Massachusetts Audubon Society had Mike make an encore presentation in October. Since then Mike has devoted his efforts to making this information more widely available to the Public through the development of this website and further presentations to interested groups. The Town of Salisbury enlisted his expertise in evaluating their shore line as well and aired his presentation on Salisbury Cable TV during the summer of 2010. Segments of Mike's Presentation, "Unlocking the Mystery of Beach Erosion at Plum Island" can be viewed on this website. "In a Nutshell “as it is called, zeros in on the key issues facing Plum Island.